Nurses are among the professions which have developed since ages. Now they are getting advance with pace of betterment and contributing a variety of services to health care. Role of nurses for betterment of health and healthcare is no hidden secret. 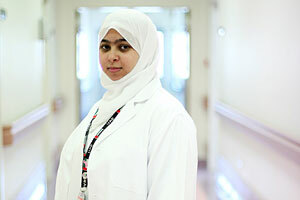 If you are a Nurse and searching for some guidance to take over the licensing exams of UAE. Then we are for your help. We are compiling each and every resource under one roof for all of our nurses colleagues. Currently Nurses can choose among the following exams to work with in MoH UAE. Aside from working in UAE Nurses can take tests to acquire the license of Canada, Australia, Malta, United Kingdom, America and other well developed countries. Ofcourse for better salaries and better working professionally. If you are willing to get help on study material for nurses to clear these tests which are internationally based then you can write to us in comments for request of any type of material. We will be adding some nursing studies book reviews, study guides for nurses, easy to remember charts, facts of medications, tips by nurses for nurses, nurses interviews working in abroad. If you are nurse and wish to join us as team member to helpout other nurses out there you can always join us by contacting us via our contact page.